So, Amazon Prime is adding subscription channels to its service (actually they're VOD bundles with a live stream). 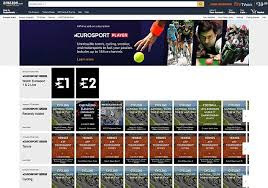 In the fragmented world that is TV cord cutting that's to be welcomed, but the channels are hardly must-haves (Eurosport and its diet of largely second and third tier sports; Discovery and ITV Encore, for example). Whilst the cost is quite breathtaking, some channels are trying to get punters to pay £9.99. In a world of free this is a tough ask. And the problem is that it soon adds up. Here in the UK I subscribe to the BBC (yes, I know, "licence fee" is what they call their obligatory subscription model) at around £12 a month; Netflix at £5.99, Now TV at £6.99 and Amazon Prime at around £6.25. With the odd PPV thrown in and ad supported service such as ITV, UKTV, Channel4 and Channel 5, that's enough for me. Around £35 - 50 a month. When you cord cut, you're on your own out there in SVOD Land. Start adding other services and it becomes expensive - more expensive than Virgin or Sky. But not compared to the price of seeing one movie in a cinema at £8 for just one viewing (not including the popcorn and noisy kids). But we live in a dollars to cents world and content needs to readjust. What's truly extraordinary about 2017 is that there is more, better content (call it TV, call it Film, call it Video, call it Entertainment.. and then have a spat in Cannes about what it is) than ever before. And it is accessible at pretty good prices. Apart from sport. And this is the quandary. Traditional broadcasting services bundle and use volume to negotiate the costs down for the viewer. I guess cynically what they do is use third party services to underpin their own channels (or vice-versa). And they use premium sports products to drive their subscriptions, a golden goose that is being throttled within an inch of its life. And the whole time there's the alternative of piracy.